If you are one of the 550,000 registered motorcyclists in Michigan, you should already be aware of how dangerous riding your motorcycle can be. It is important to practice safe riding habits at all times while riding your motorcycle. In many serious motorcycle accidents, it is often not the fault of the motorcyclist but rather another motorist on the road who does not see the rider or makes a mistake that leaves the rider vulnerable to an accident or serious injury. What Motorcycle Riding & Fatal Accident Information Do I Need to Know? Although motorcycle riding can be a fun activity for many, the statistics show that it is simply not as safe as driving a car. In fact, for every 100 million vehicle miles traveled by motorcyclists in Michigan, roughly 13 motorcyclists are killed. This is a staggering statistic considering the average deaths per 100 million miles traveled in a car is just under 1 motorist. This means motorcyclists in Michigan have a much greater chance of suffering a fatal accident or injury than other motorists on the road. What are the Michigan Motorcycle Accident Statistics? Each year, Michigan Traffic Crash Facts publishes detailed statistical data regarding motorcycle accidents. Here is some information from the most recent data from 2014. What are Causes of Michigan Motorcycle Accidents? 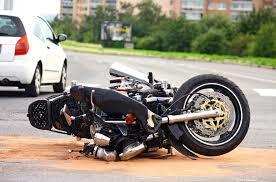 There are several causes of motorcycle accidents in Michigan. One of the biggest contributing factors is the use of alcohol while operating a motorcycle. It is extremely important to never drink and ride, as it not only endangers the rider but everyone else who is on the road. Excessive speed: All motorcyclists must not only obey the speed limit, but also adjust their speed relative to the roadway conditions. For example, it is crucial to slow down in wet and icy conditions. Distracted driving: Car drivers who are using their cell phones to carry on a conversation or text, are more likely to strike motorcyclists. Fatigued driving: Motorcyclists and car drivers who are feeling sleepy are more likely to lose focus and doze off. Dangerous roadways: Some roadways are simply not safe for Michigan motorcycle riders. Roadways with uneven surfaces and large potholes are particularly dangerous for motorcycle riders. Defective motorcycle parts: A defective tire, faulty brakes or poorly assembled steering stabilizer can cause a motorcycle to veer out of control. This is why it is important to preserve motorcycles for a complete inspection after a crash before making repairs. After being injured in a motorcycle accident, it is advisable to notify the police, collect information from the crash site and seek immediate medical attention. It is not, however, in your best interest to discuss the crash at length with an insurance company. Insurance adjusters are tasked with finding reasons to deny claims. A knowledgeable biker crash attorney may be needed to speak with the insurance companies and other parties on your behalf. With help from an experienced Michigan motorcycle accident attorney, you should be able to receive financial support for all of your losses. Depending on the circumstances of the crash, support may be available for your medical bills, lost wages, the cost of rehabilitation services and expenses related to medical devices and prescription drugs. 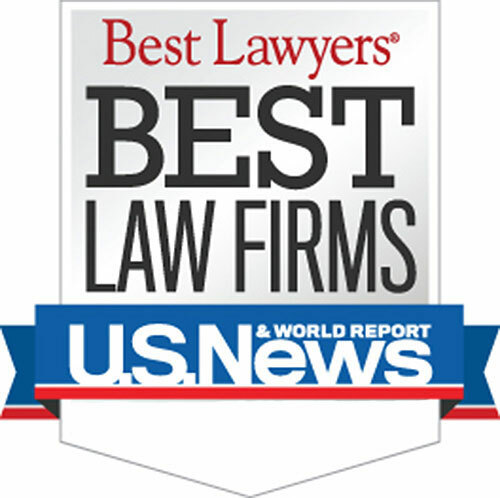 The knowledgeable award winning legal team at Buckfire & Buckfire P.C. will work diligently protect your legal rights and look out for your best interests. We will fight to ensure that you are justly compensated for your significant losses. Call us today (800) 606-1717 to discuss your case and speak with one of our motorcycle crash attorneys.